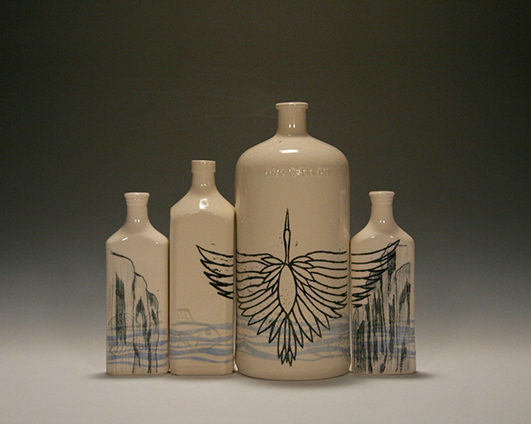 Slip cast bottle forms with screen printed and hand-drawn imagery. All molds are handmade from found objects and poured by hand. Glaze and under glaze decoration fired to cone 6.